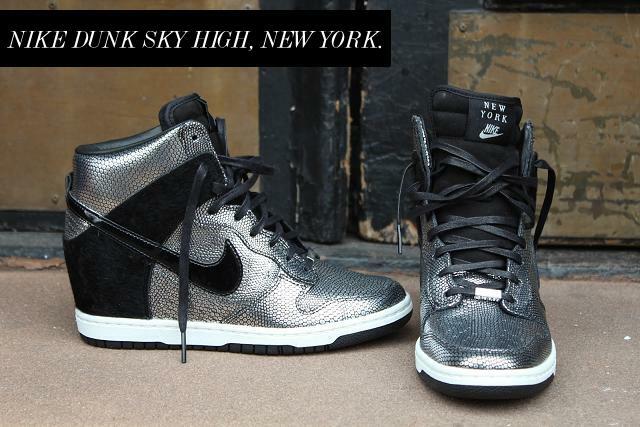 Current Crave: More Sky Highs? The cool thing about fashion is it encompasses various industries. These released only in NYC for now on 2/9. They're actually a part of a whole city pack... which I also am kind of DYING over. So they release on the listed dates ONLY in that city. DO these dates sound familiar? 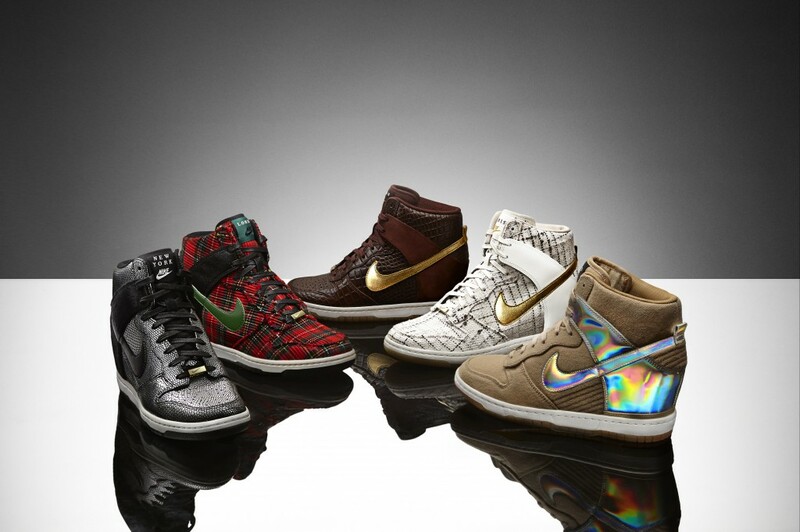 They coincide with the FASHION WEEKS in each country :D Who says sneakers can't be HIGH FASHION? The general release is March 27, but don't make your calendars because I need a better chance of getting my hands on the New York pair. KTHX. companies are certainly getting more creative with their sneakers! the wedges are definitely growing on me!